So I’ve gotten some calls and emails lately from clients about the most recent Yoast’s WordPress SEO plugin changes. It was pretty dramatic. There have been some changes that can help even the most novice blogger improve their SEO settings. 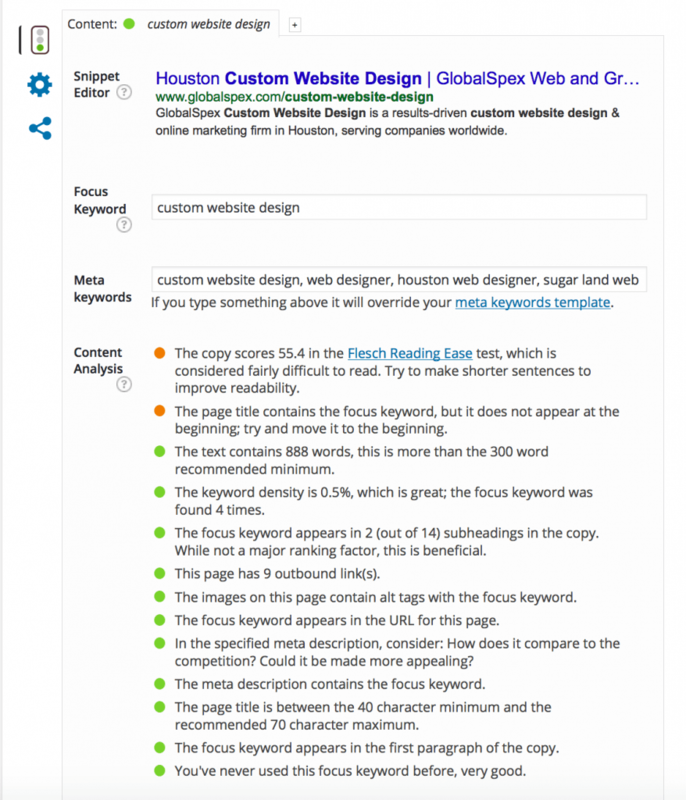 Improved Content Analysis with clearer descriptions. 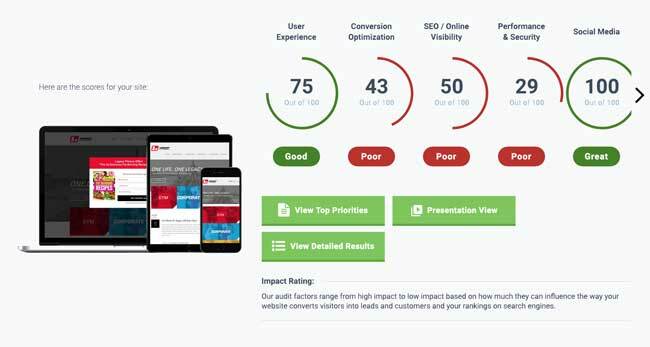 With clear red, orange and blue indicators, each item clearly describes how you can improve the content of each web page. Snippet Editor. The snippet editor lets you see how your page will show on the search results page. Will it be cut off? Does it make sense? Is it clickable? Facebook posting. For that share their posts on Facebook, Yoast offers a nice tool that will help with the image and text formatting. Officially, this is called Open Graph. Gone are the days of manually uploading the correct photo or hoping that your visitors do. 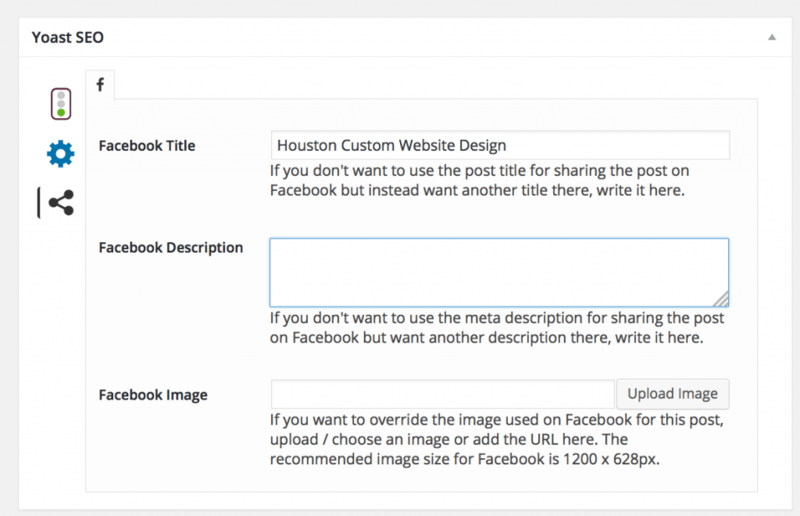 Uploading an image size of 1200 x 628 pixels will ensure that Facebook chooses the correct and branded image of your post or page. These 3 are the primary WordPress SEO areas that you as a blogger or small business owner should be looking at when creating your blog posts or new web pages. I recommend that each time you create a new page or post that you take a moment to review these features and check to see if what you have written meets the SEO green light analysis. But, as with any SEO work, I don’t recommend content that solely suits the search engines. Think of your customers. Final remark.. does it help them? Does it make sense?